At Sparkle Dental of Warren, MI, We Treat Patients Like Family! Our purpose is to serve our patients with compassion, excellence, and value. We understand that all patients are individuals and should be treated as such. We are here to help our patients enjoy their dental experience and develop a relationship with them to last a lifetime. We won’t judge you, lecture you, or give make you feel uncomfortable in any way. We are here to make your experience as pleasant as possible. Dr. Assad and staff promise to give you the highest standard of care in a welcoming and friendly environment. We strive to be a single source for all of your oral care needs. 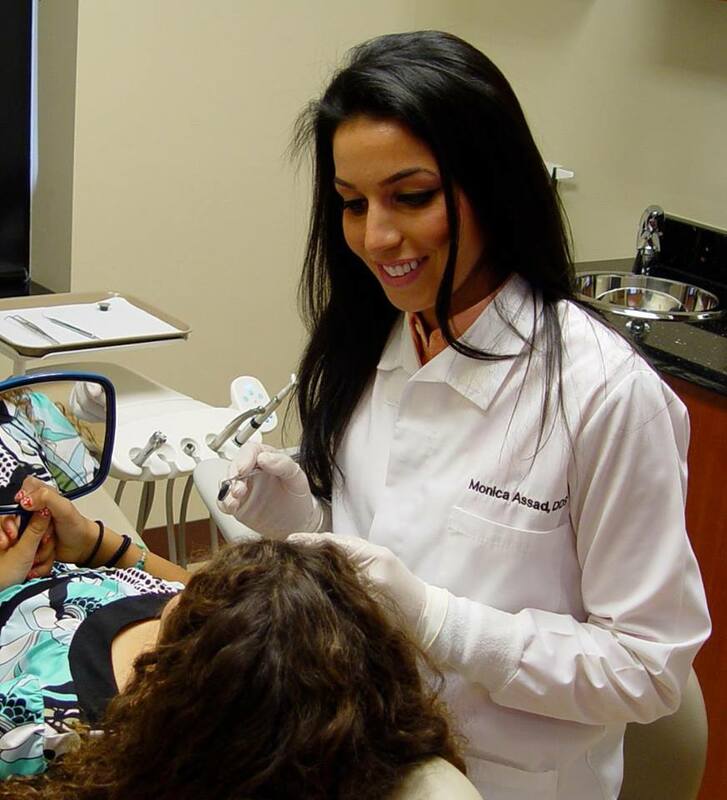 Dr. Monica provides a full range of dental services including general and preventative care, oral surgery, restorative surgery, cosmetics, invisible braces, endodontic, periodontics, and pedodontics, as well as providing Invisalign and Clear Correct. Our highly trained, dedicated and friendly staff is our greatest asset. They are excited about our office and have high standards of quality and integrity, and are motivated to achieve the best results for our family of patients. For an outstanding family dentist in Warren, Michigan who really cares about your specific needs, call Sparkle Dental today to set up your next appointment at (586) 619-3920.